Flower photo by Alain Mouchel. 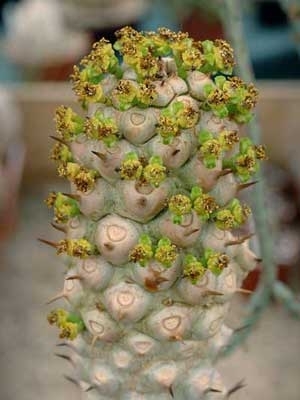 This member of the Euphorbiaceae family was given this name by Pierre Tremaux after Pierre Edmond Boissier 1862. It if found in Sudan, growing in a well drained soil with little water and lots of sun. 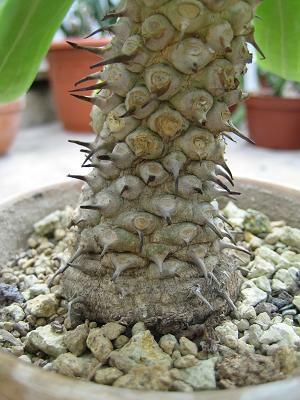 The spiny stem can grow up to fifteen centimetres in diameter and the plant can reach a height of one meter. 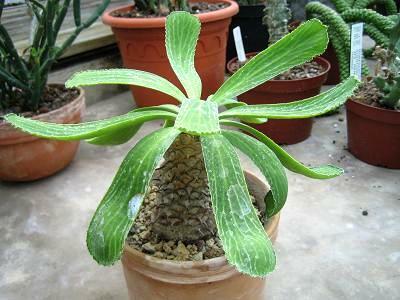 It can be reproduced both by seeds and cuttings.